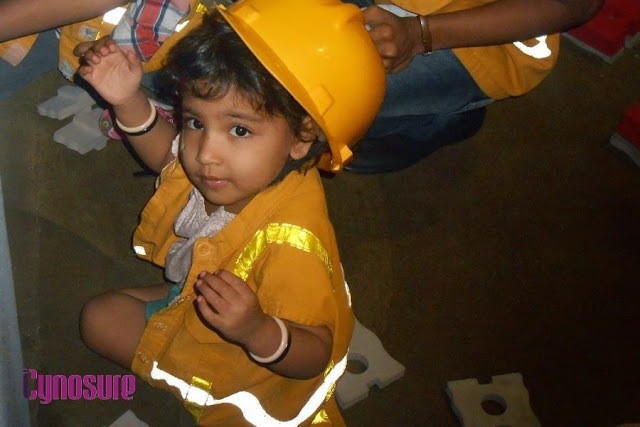 Kidzania, Is It Worthwhile For Young Kids? Posted On March 16, 2015 by Team iCynosure. As I received a mother’s day text message today (no it’s not mother’s day), I wondered what extent do mothers go to, to bring a smile on her child’s face? I cuddle and hug my baby, I cook and feed my baby, I sing and dance with her, and I spoil her crazy. However sometimes it takes some more like making them experience a new adventure. I know you may laugh saying where in Mumbai am I going to find any adventure except some silly antics in malls, or some filthy garden or at best the National park. But wait dear parents, right in the middle of this busy blistering city is a gorgeous place that fulfills all the needs of a young child. 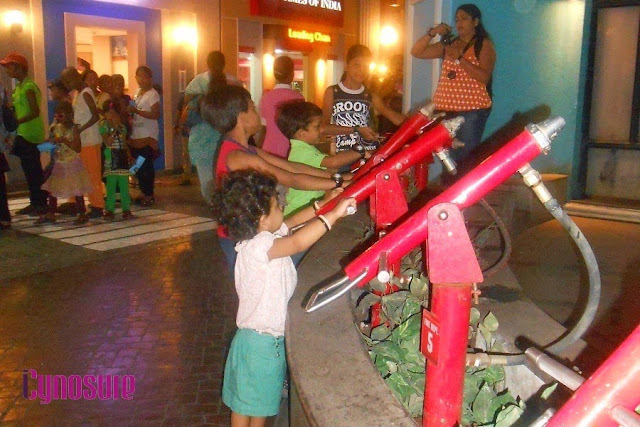 A place that entertains them while teaching them the basics of life. A place they can be doctors, pilots, racing car drivers, firefighters, chefs, radio jockeys, rock-climbers, anything that they aspire to be. 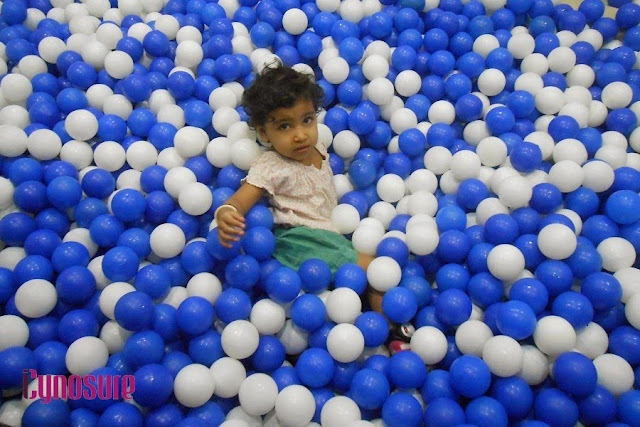 Though the website says that it is most apt for kids between the ages of 4-16, I have wanted to visit it for a long time and when Blogadda invited #PrincessHeer and me over I didn't want to think twice. Once we got the formalities done, we were excited o get in as quickly as we could. As she was briefed, she headed straight to Yes Bank to en-cash her check and holler on to spend her money. As usual she was game to try a lot of things which we soon began to realise had the age restrictions. Being just 3 she was only eligible for toddler activities and I was glad that the staff refused to budge even when requested keeping the child’s security in mind. She along with her dad, headed straight to the staff and got a printed list of activities for the toddlers and went ahead to explore and execute them. Each was a new experience for her and though I would have thought 3 years is too young to comprehend what was happening she was absorbing in a lot like a dry sponge. The Fire Station is definitely one of the best activities but does take a while to get done. If you miss it, be sure to line up for it as the 8-slot group gets taken up pretty quickly. No other activity gets as realistic as that. Kids are given fire-fighter coats to wear, are taken for a round in a fire fighters truck and actually get to douse off the fire at a nearby hotel. Though #PrincessHeer refused to wear the costume, she did participate heartily riding the fire truck, putting out the fire and then taking a victory bow to go back into the fire truck. 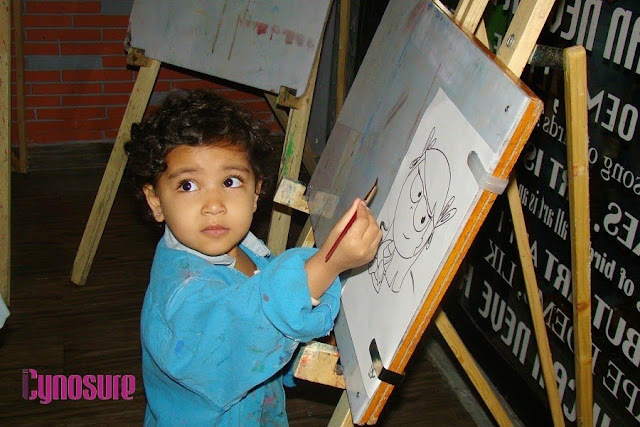 My little Picasso made a wonderful painting (pre-drawn) with a healthy mix of colors at the KZ National Painting School. I was so surprised that she really liked painting and after completing momma, refused to come out until she painted her daddy. Another activity she really enjoyed was the Dancing Room, the most fun area in the park. Heer was the first to go on to the dancing stage whereas other children were coaxed by their parents she began to shake her leg to one of her favorite numbers; Shahrukh’s Indiawale. #PrincessHeer also did wonders at the Supermarket and didn't have any trouble shopping and paying at the counter just like how I do. It was fun to see her inspect each item carefully before picking it and going around one alley at a time just like I do. Didn't know she observed me so much. At the end of the day she had quite a few KidZos left and she said we should go to the bank and deposit them. Smart baachu! So we went to the bank and converted our KidZos into a debit card that we can use during our next visit to KidZania. So if you’re wondering why my title doesn’t say anything, I believe that KidZania is a place for children 5 years and above as they would have a lot of activities to do where as children 4 years and below have very few things to do. But still it is a great place for the kids to enjoy and parents can gauge their interest by the activities they enjoy there.